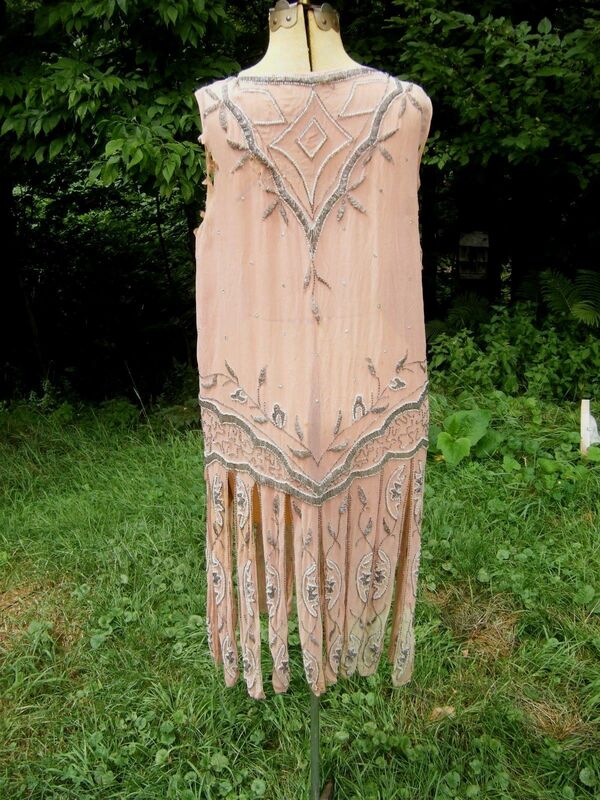 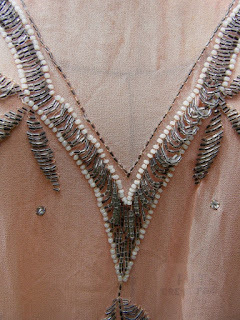 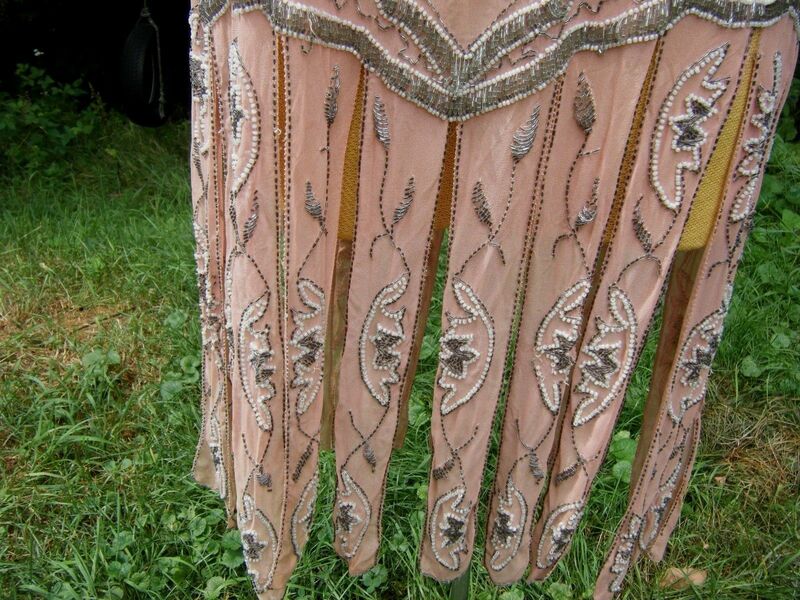 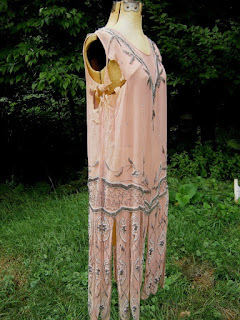 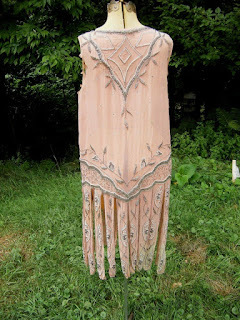 WOW amazing beaded Flapper 1920's dress,love those 20 panels they swing out when you twirl in the dress! . 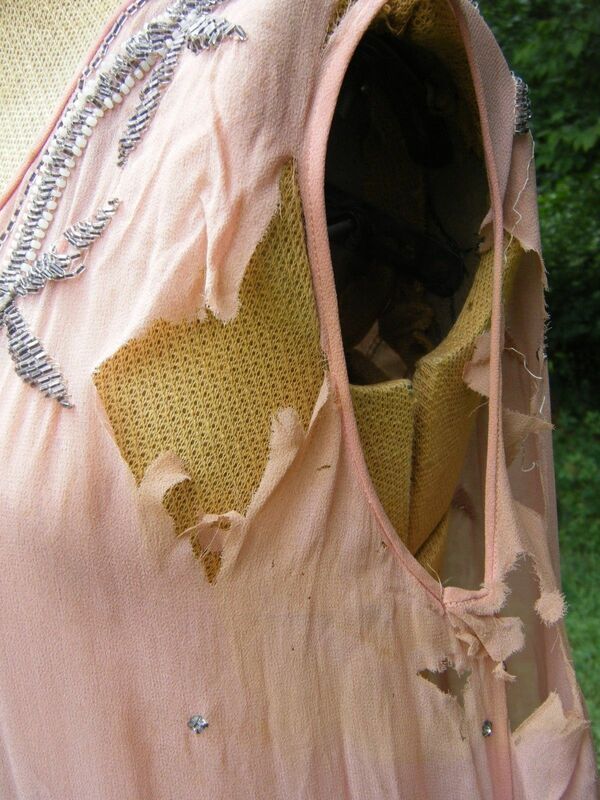 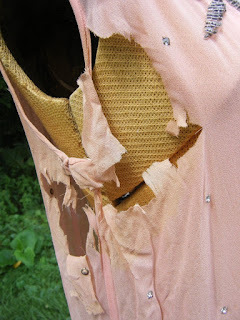 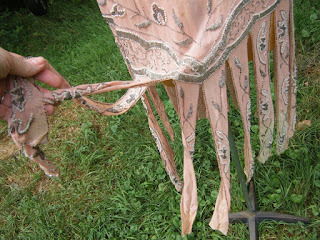 Selling as a study or restoration as she is ripped underarms,but skirt and main body is still in very nice shape. Bust 36" Waist 40" Hip 42" length 41"
Of course, clearly 1920's. 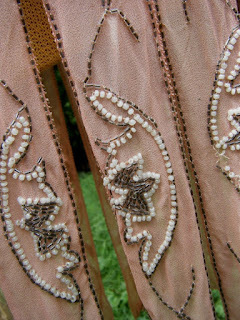 I'm in love with the beading on the skirt strips. 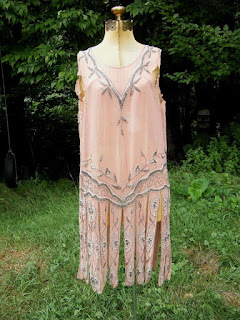 This would have been fabulous over a cream colored slip. 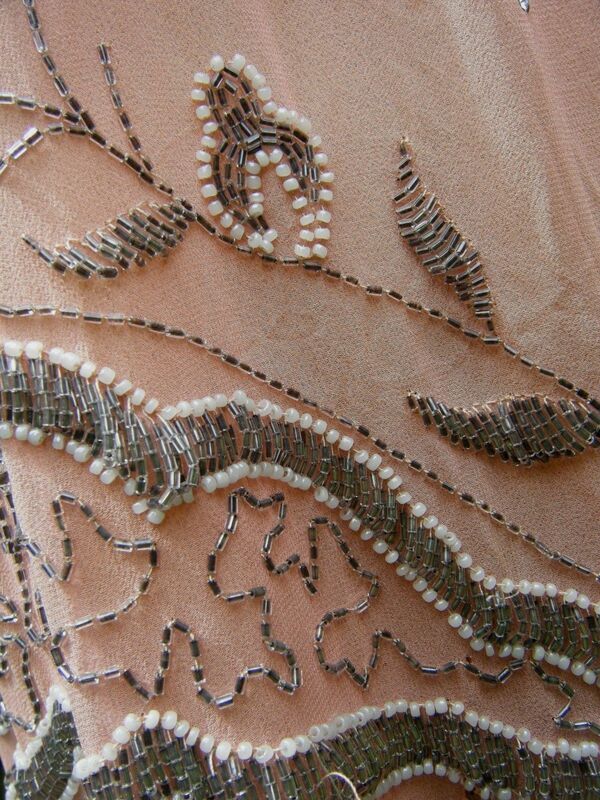 That beaded paneled hem is something! Wow.